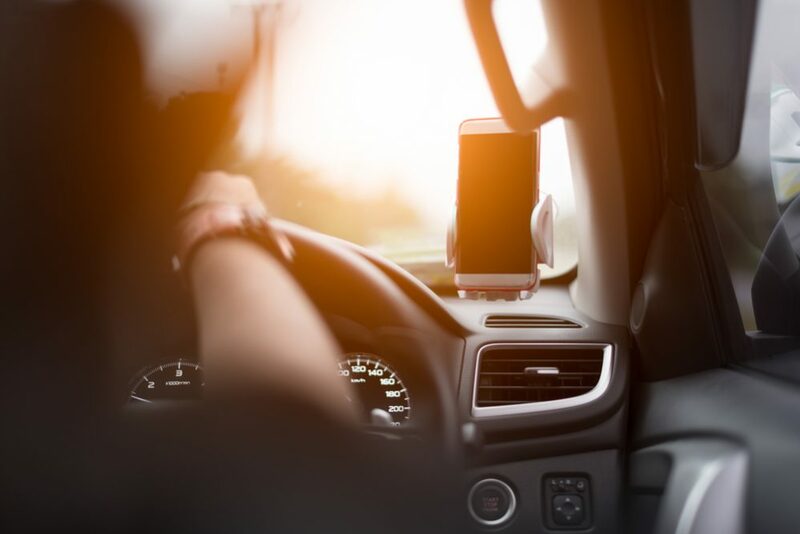 With cellular phone popularity reaching new heights (over 100 million cell phones are in use in the US), more and more drivers are using their commute time to conduct business and personal affairs on their cell phones. 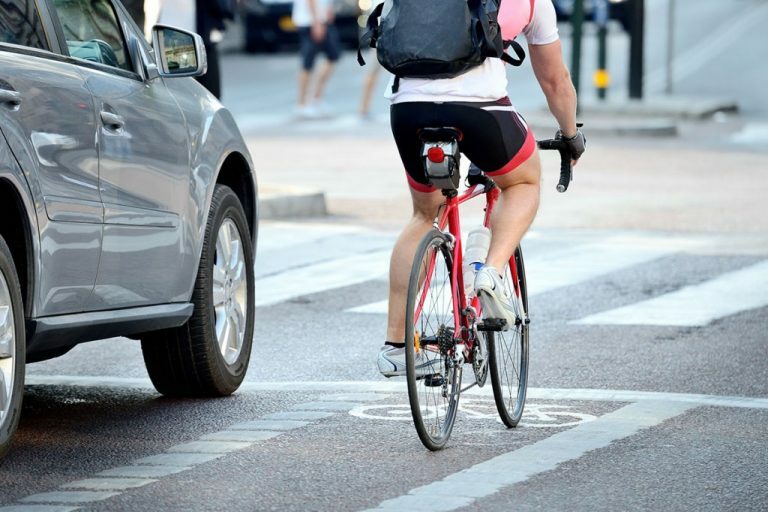 American motorists spend substantial amounts of their day in automobiles, vans, trucks, and buses. It is not surprising that people will attempt to optimize their time in the vehicle by using phone and computers. 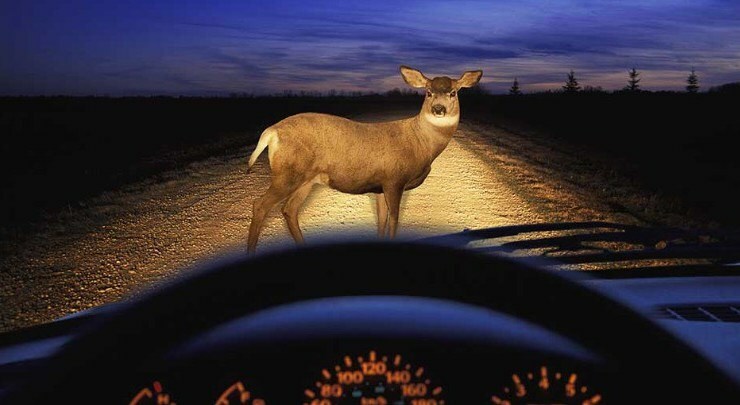 On the surface, it looks like a great way to make use of the time, but there is a dark side: Dialing, discussing and doing deals all affect your ability to properly respond to typical road hazards — let alone challenging driving situations. By linking cellular communications with fax machines and laptop computers, it is now possible to receive and transmit faxes, receive and send e-mail, and, in fact, “surf the net” from within a vehicle. 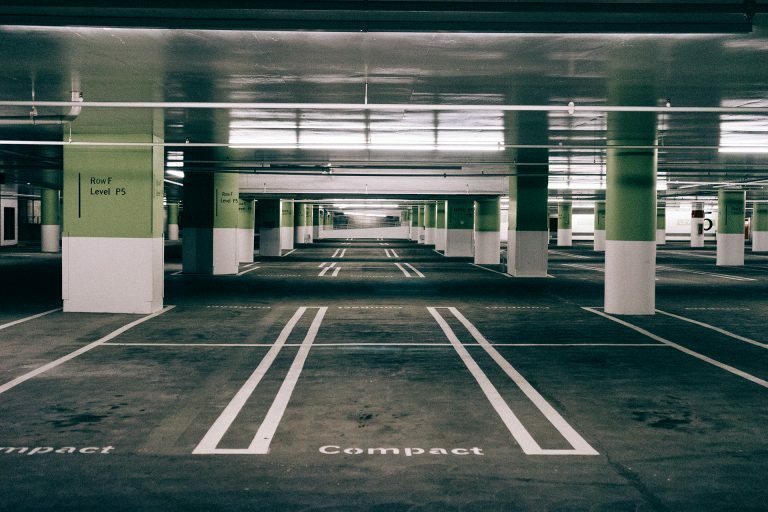 While the true extent of such usage is unknown, anecdotal information suggests that it is more common than might be expected, given the potential safety implications. Whenever you’re driving a vehicle and your attention is not on the road, you’re putting yourself, your passengers, other vehicles, and pedestrians in danger. Stressful or heated conversations, especially those involving relationships, contribute to driver distraction. When combined with a cell-phone call, the combination can be deadly. There’s also a difference between driving while talking on the phone and driving while chatting with a passenger. 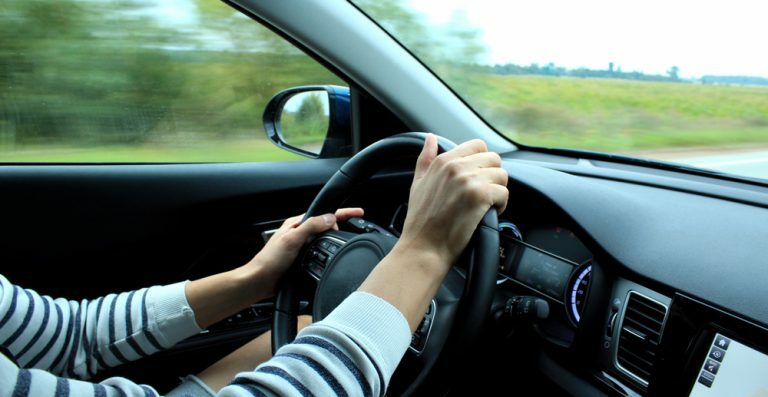 Passengers in the car often alert drivers to dangerous situations, in sharp contrast to cell phone callers who are oblivious to a driver’s surroundings. Talking on the phone has become a way of life for millions of auto-bound Americans. More than 85 percent of the 100 million+ cell-phone subscribers regularly talk on the phone while driving, says a survey by Prevention magazine. 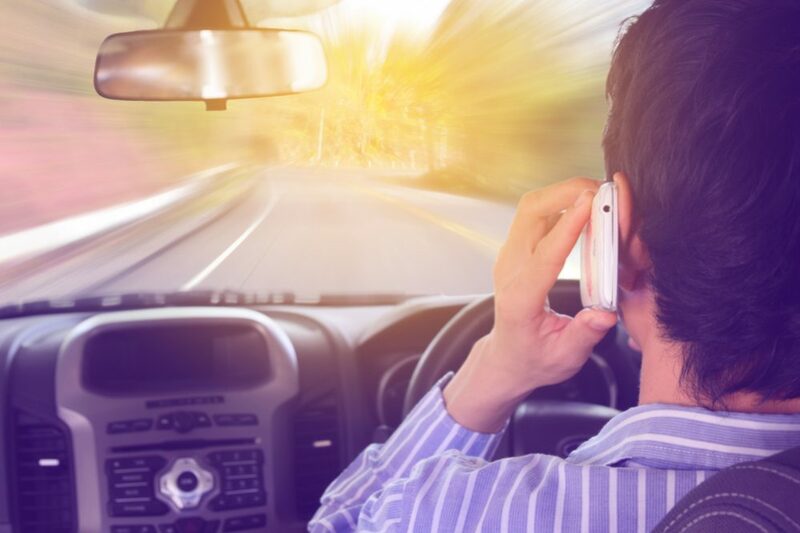 A 1997 study by the New England Journal of Medicine found that drivers who talk on a cell phone are four times more likely to be in an accident than drivers who don’t. Drivers throughout the country report seeing distracted drivers talking on cell phones as they drift into other lanes or run through red lights or stop signs. In some cases, the results have been fatal. Newer phones address some of these problems. 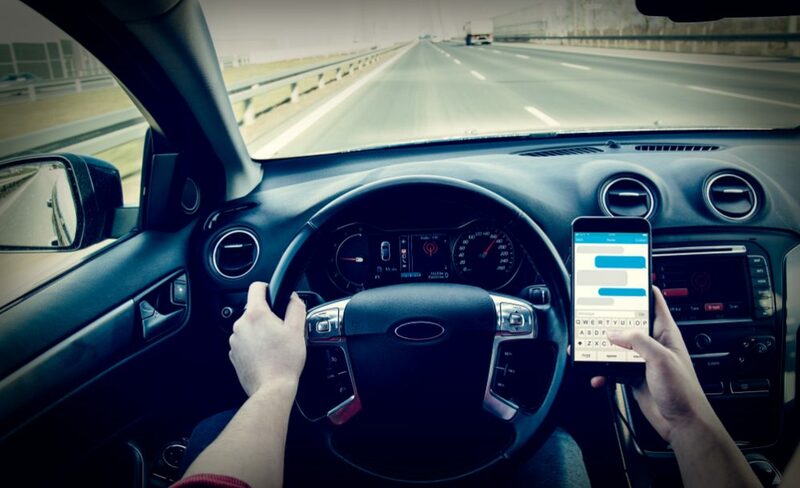 Recent developments in cell phone technology include voice-activated dialing, built-in phones, headsets, and speaker phones; all can help drivers concentrate on the roadway. 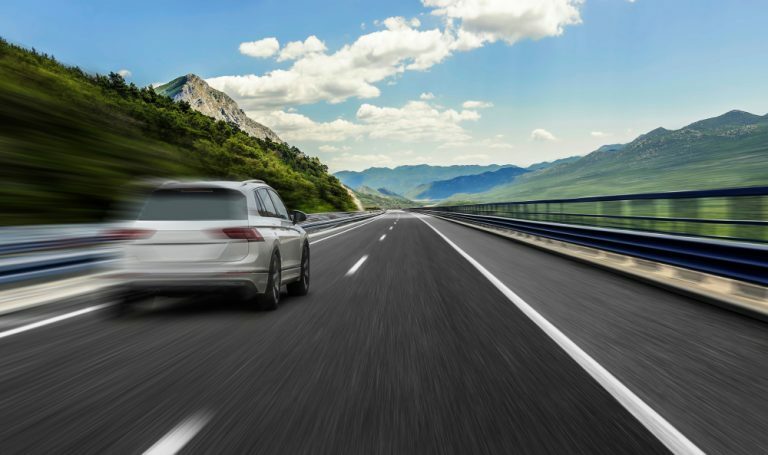 Sensing that driver distraction is on the increase, NHTSA recently opened the 60-million-dollar National Advanced Driving Simulator (NADS) at the University of Iowa. The NADS tests the distraction levels of drivers confronted with in-car electronic devices such as computers, navigation systems, and cellular phones. The unit can also be used for studying aggressive driving, driver fatigue, headlight glare, and the effects of prescription drugs and alcohol. The NADS should provide great insight into the driving habits of mobile office users as well. A study carried out on a similar driving simulator at Aston University, Birmingham ( U.K.) for the Royal Society for the Prevention of Accidents, measured how drivers adjust their driving to road conditions when interrupted by both hand-held and hands-free mobile phone calls. Drivers talking on the phone did not perform as well as those who weren’t distracted by the phone calls. Even after hanging up the phone, the subjects’ performance did not return to normal for several minutes. The study found that it is not so much the device itself that causes the problem but the degree to which a driver becomes involved with it. Get to know your phone – and its features such as speed dial and redial. Carefully read your instruction manual and learn to take advantage of valuable features most phones offer including, automatic redial and memory dial-most phones can store up to 99 numbers in memory dial. Also, work to memorize the phone keypad so you can use the speed dial function without taking your attention off the road. Use hands-free devices – Use a hands-free microphone while driving. Hundreds of hands-free wireless phone accessories are readily available. Whether you choose an installed mounted device for your phone or a speaker phone accessory, make sure your phone is installed to get the best possible sound quality. Distraction potential can be minimized by ergonomically sound cellular phone designs. Position your phone within easy reach – Make sure you place your wireless phone within easy reach and where you can grab it without removing your eyes from the road. If you get an incoming call at an inconvenient time, let your voice mail answer it for you. 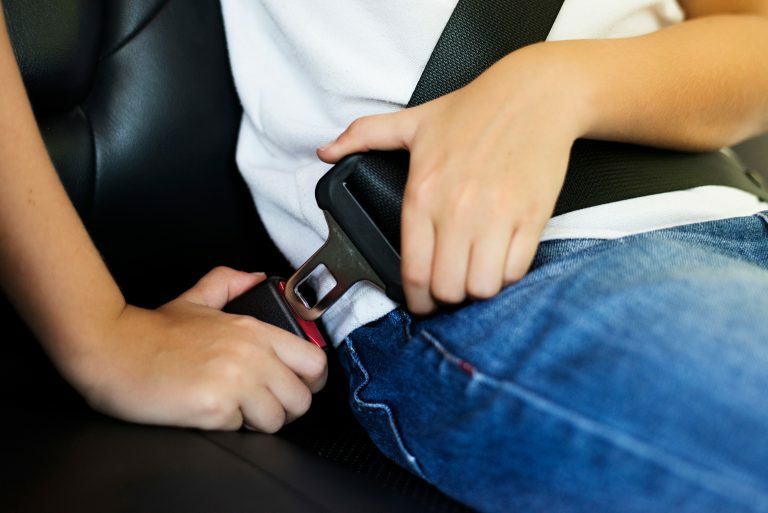 Don’t obstruct vehicle safety devices – The size and placement of hand-held cellular phone mounting brackets can sometimes interfere with vehicle safety equipment such as airbags. The devices may also contribute to driver injury by becoming projectiles during a crash. Keep these hazards in mind when deciding where to install your phone. Suspend conversation during hazardous conditions – Let the person you are speaking to know you are driving; if necessary, suspend the call in heavy traffic or hazardous weather conditions, without warning if necessary. Rain, sleet, snow, and ice can be hazardous, but so is heavy traffic. As a driver, your first responsibility is to pay attention to the road. Pay attention to the road – Do not take notes or look up phone numbers while driving. If you are reading an address book or business card while driving a car, or writing a “to do” list, then you are not watching where you are going. It’s common sense. 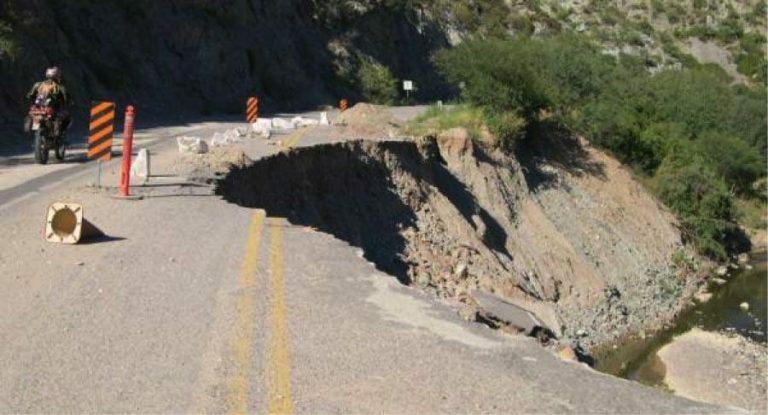 Don’t get caught in a dangerous situation because you are reading or writing and not paying attention to the road or nearby vehicles. Dial sensibly and assess the traffic – if possible, place calls when you are not moving or before pulling into traffic. Try to plan your calls before you begin your trip, or attempt to coincide your calls with times you may be stopped at a stop sign, red light or otherwise stationary. But if you need to dial while driving, follow this simple tip-dial only a few numbers, check the road and your mirrors, then continue. Today’s phones offer automatic redial and can store up to 99 numbers in their memory allowing you to make a call by using two or three buttons. Do not engage in distracting conversations – Stressful or emotional conversations and driving do not mix-they are distracting and even dangerous when you are behind the wheel. Make people you are talking with aware you are driving and if necessary, suspend phone conversations which have the potential to divert your attention from the road. Avoid long social calls – Keep conversations short and sweet. Develop ways to get free of long-winded friends and associates while on the road. Don’t use the cell phone for social visiting while you drive. Use your phone to call for help – Your wireless phone is one of the greatest tools you can own to protect yourself and your family in dangerous situations with your phone at your side, help is only three numbers away. Dial 9-1-1 it’s a free call on your wireless phone. Use common sense and restraint when dialing Emergency service facilities as they can be overwhelmed when multiple calls are received for the same incident. Use your phone to help others – Your wireless phone provides you a perfect opportunity to be a “good Samaritan” in your community. If you see an auto accident, crime in progress or another serious emergency where lives are in danger, call 9-1-1, as you would want others to do for you. Call roadside assistance when necessary – Call roadside assistance or a special wireless non-emergency assistance number when necessary. Certain situations you encounter while driving may require attention, but are not urgent enough to merit a call to 9-1-1. If you see a broken-down vehicle posing no serious hazard, a broken traffic signal, a minor traffic accident where no one appears injured, or a vehicle you know to be stolen, call roadside assistance or other special non-emergency wireless number. Since 1995, 40 states have proposed bills concerning cellular phone use in cars, but the $40-billion-a-year cell-phone industry has successfully lobbied to keep those laws off the books. The industry claims that not only are cellular phones safe to use while driving, but the phones also help contribute to drivers’ safety by allowing users to report disabled vehicles, accidents, hazardous road conditions, medical emergencies, and crimes in progress. However, the safety benefits are not without drawbacks. For example, some emergency response networks have reported in excess of one hundred “911” calls for the same incident, making the networks unavailable for reporting other emergencies. 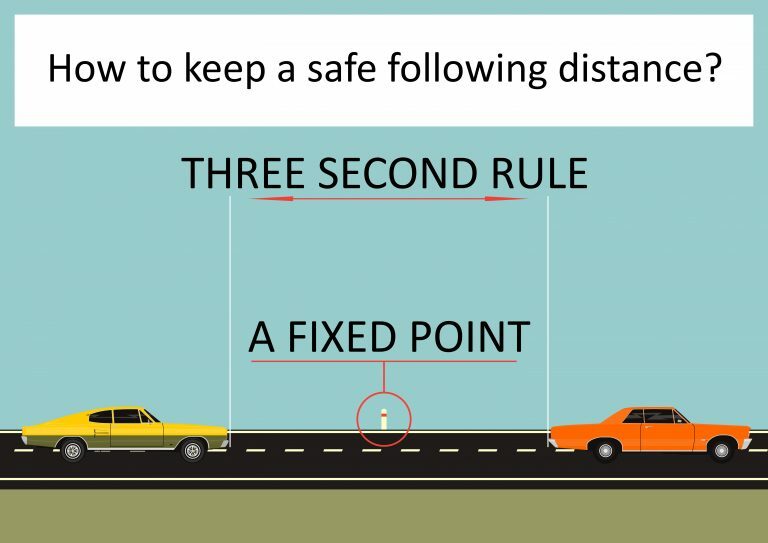 Furthermore, traffic safety itself may be degraded somewhat if more drivers are distracted while making such calls in hazardous driving situations, e.g., slowed or stop-and-go traffic, and rubbernecking.